Sixes Magazine would like to congratulate the participants of the 2015 Relay for Life of Cherokee County. If you have ever known anyone that has helped fight against cancer, then chances are you that you are familiar with Relay for Life. What organization is Relay for Life associated with? 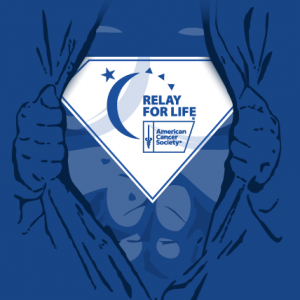 Relay for Life is one of the key fundraising initiatives of the American Cancer Society. At each event, community members come together to honor cancer survivors, remember those that have lost their battle with cancer, and to fight against the disease through raising funds for cancer research. Over 850 participants gathered at Creekview High School on Friday, May 8. Together, these participants represented nearly 60 fundraising teams, many from local Cherokee County School District schools. Over $150,000 (according to the Cherokee County Relay for Life website it was $157,429.32 at press time to be exact) was raised for the annual Relay for Life event through fundraising initiatives leading up to the big day. Visit the Relay for Life of Cherokee County webpage and Facebook page for more details. In years past, team captains began putting together teams in the fall. Keep an eye on the Relay for Life pages if you are interested in coming together with others next year to help fight back against cancer through the signature fundraising initative the American Cancer Society.